Scott and Kathleen are wed at Waikiki Beach with two sons as best men. Ukulele played by Hawaiian Musician Bernard. Robert and his team are amazing. 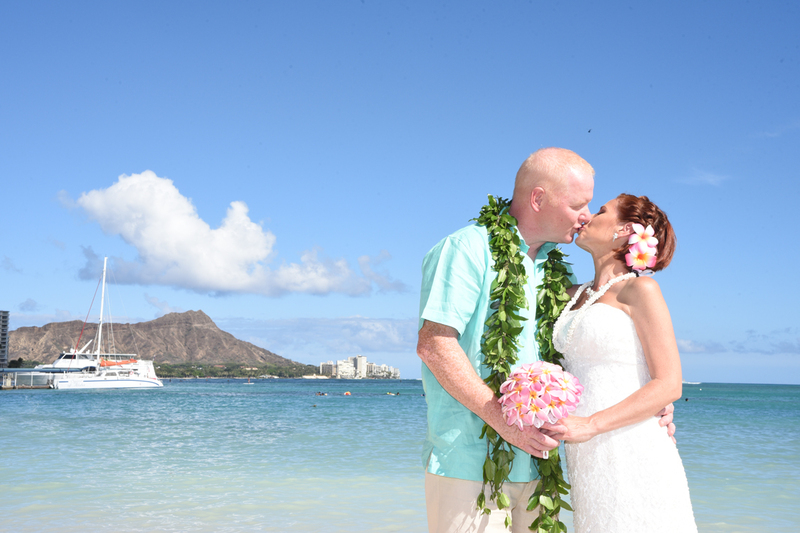 Planning a destination wedding can be extremely stressful, however, we did not have to worry about anything. 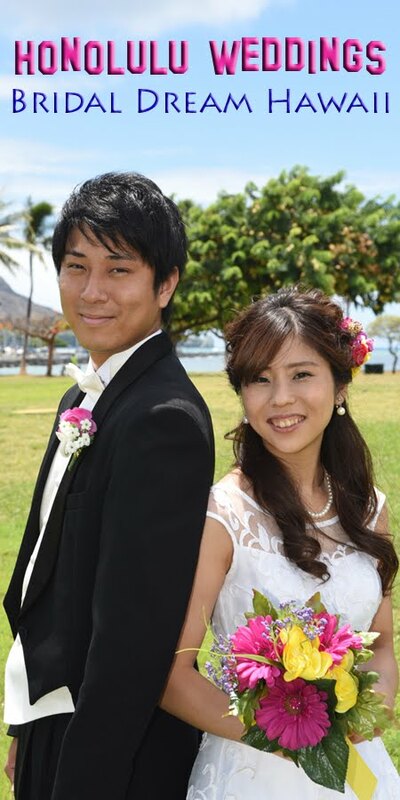 Robert was very prompt in responding to my questions during our preparations and helped me to plan our dream wedding. 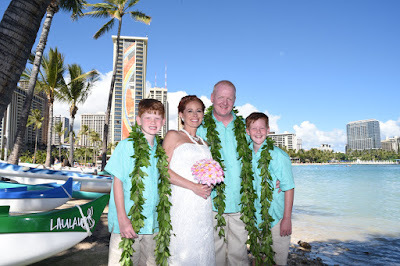 We were extremely pleased with the location, bouquet, maile lei's, photographs taken by Robert and Minister Kimo. 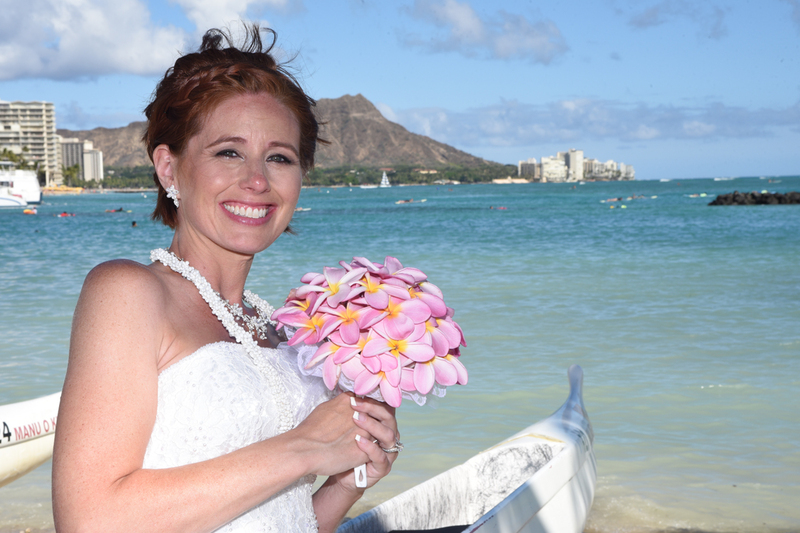 As an added bonus I opted to have my hair as well as makeup up done and May exceeded my expectations. 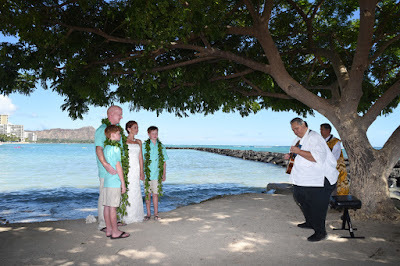 Bernard played the Ukulele throughout the ceremony which finalized our idea of a tropical beach wedding. 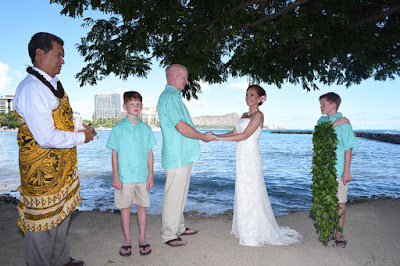 We highly recommend Robert and his fabulous team.